The World Wide Fund for Nature (WWF) is an international non-governmental organization founded in 1961, working in the field of the wilderness preservation, and the reduction of humanity's footprint on the environment. It was formerly named the World Wildlife Fund, which remains its official name in Canada and the United States. It is the world's largest conservation organization with over 5 million supporters worldwide, working in more than 100 countries, supporting around 1,300 conservation and environmental projects. WWF is a foundation, with 55% of funding from individuals and bequests, 19% from government sources (such as the World Bank, DFID, USAID) and 8% from corporations in 2014. The group's mission is "to stop the degradation of the planet’s natural environment and to build a future in which humans live in harmony with nature." Currently, much of its work focuses on the conservation of three biomes that contain most of the world's biodiversity: oceans and coasts, forests, and freshwater ecosystems. Among other issues, it is also concerned with endangered species, sustainable production of commodities and climate change. The Conservation Foundation, a precursor to WWF, was founded in 1947 by Fairfield Osborn in New York City in support of capitalism-friendly ecological practices. The advisory council included leading scientists such as Charles Sutherland Elton, G Evelyn Hutchinson, Aldo Leopold, Carl Sauer, and Paul Sears. It supported much of the scientific work cited by Rachel Carson's Silent Spring, including that of John L. George, Roger Hale, Robert Rudd, and George Woodwell. In 1963, the Foundation held a conference and published a major report warning of anthropogenic global warming, written by Noel Eichhorn based on the work of foundation vice-president Frank Fraser Darling, Edward Deevey, Erik Eriksson, Charles Keeling, Gilbert Plass, Lionel Walford, and William Garnett. The idea for a fund on behalf of endangered animals was initially proposed by Victor Stolan to Sir Julian Huxley in response to articles he published in the British newspaper The Observer. This proposal led Huxley to put Stolan in contact with Max Nicholson, a person who had had thirty years experience of linking progressive intellectuals with big business interests through the Political and Economic Planning think tank. Nicholson thought up the name of the organization. WWF was conceived on 29 April 1961, under the name of World Wildlife Fund, and its first office was opened on 11 September that same year in Morges, Switzerland. WWF was conceived to act as a funding institution for existing conservations groups such as the International Union for the Conservation of Nature and Natural Resources and The Conservation Foundation. Godfrey A. Rockefeller also played an important role in its creation, assembling the first staff. Its establishment marked with the signing of the "Morges Manifesto", the founding document that sets out the fund's ideology. ...They need above all money, to carry out missions and to meet conservation emergencies by buying land where wildlife treasures are threatened, money, for example, to pay guardians of wildlife refuges ...for educations among those who would care... For sending experts to danger spots and training... Making it all possible that their needs are met before it is too late. WWF's giant panda logo originated from a panda named Chi Chi that had been transferred from Beijing Zoo to London Zoo in 1958, three years before WWF became established. The logo was founded by Young and was founded in 1966. Being famous as the only panda residing in the Western world at that time, its uniquely recognisable physical features and status as an endangered species were seen as ideal to serve the organization's need for a strong recognisable symbol that would overcome all language barriers. Moreover, the organization also needed an animal that would have an impact in black and white printing. The logo was then designed by Sir Peter Scott from preliminary sketches made by Gerald Watterson, a Scottish naturalist. However the logo shown on this page is not the logo designed by Peter Scott but a later one, designed for WWF when it changed its name from World Wildlife Fund to World Wide Fund for Nature. WWF's strategy for achieving its mission specifically focuses on restoring populations of 36 species (species or species groups that are important for their ecosystem or to people, including elephants, tunas, whales, dolphins and porpoises), and ecological footprint in 6 areas (carbon emissions, cropland, grazing land, fishing, forestry and water). Policies of the WWF are made by the board members who are elected for three- year terms. The Executive Team guides and develops WWF's strategy. There is also a National Council which stands as an advisory group to the board and finally a team of scientists and experts in conservation who research for WWF. The organization convinces and helps governments and other political bodies to adopt, enforce, strengthen and/or change policies, guidelines and laws that affect biodiversity and natural resource use. It also ensures the governments to consent and/or keeps their commitment to international instruments relating to the protection of biodiversity and natural resources. WWF has been accused by the campaigner Corporate Watch of being too close to businesses to campaign objectively. WWF claims partnering with corporations such as Coca-Cola, Lafarge, Carlos Slim's and IKEA will reduce their effect on the environment. WWF received €56 million (US$80 million) from corporations in 2010 (an 8% increase in support from corporations compared to 2009), accounting for 11% of total revenue for the year. In June 2009, Touch Seang Tana, chairman of Cambodia's Commission for Conservation and Development of the Mekong River Dolphins Eco-tourism Zone, charged that the WWF had misrepresented the danger of extinction of the Mekong dolphin in order to boost fundraising. The report stated that the deaths were caused by a bacterial disease that became fatal due to environmental contaminants suppressing the dolphins' immune systems. He called the report unscientific and harmful to the Cambodian government and threatened the WWF's Cambodian branch with suspension unless they met with him to discuss his claims. Touch Seang Tana later said he would not press charges of supplying false information and would not make any attempt to prevent WWF from continuing its work in Cambodia, but advised WWF to adequately explain its findings and check with the commission before publishing another report. After this, in January 2012, Touch Seang Tana signed the "Kratie Declaration on the Conservation of the Mekong River Irrawaddy Dolphin" along with WWF and the Cambodian Fisheries Administration, an agreement binding the parties to work together on a "roadmap" addressing dolphin conservation in the Mekong River. The German public television ARD aired a documentary on 22 June 2011 that claimed to show how the WWF cooperates with corporations such as Monsanto, providing sustainability certification in exchange for donations – essentially greenwashing. WWF has denied the allegations. By encouraging high-impact eco-tourism, the program alleges that WWF contributes to the destruction of habitat and species it claims to protect. WWF-India is not active at the tiger reserve given as the example, but it is active elsewhere seeking to limit adverse tourism effects and better sharing of tourism benefits to local communities. The program also alleges WWF certified a palm oil plantation operated by Wilmar International, a Singaporean company, on the Indonesian island of Borneo, even though the establishment of the plantation led to the destruction of over 14,000 hectares of rainforest. Only 80 hectares were ultimately conserved, the ARD documentary claims. According to the programme, two orangutans live on the conserved land, but have very slim chances of survival because no fruit trees remain and the habitat is too small to sustain them. To survive, they steal palm nuts from the neighbouring plantation, thereby risking being shot by plantation workers. WWF notes that the plantation filmed is PT Rimba Harapan Sakti, which has not been certified as a sustainable producer by the Round Table on Sustainable Palm Oil. Aerial photographs show that around 4000 hectares, or about a third of the forest cover, has been conserved. The President of Honor of WWF in Spain used to be King Juan Carlos I, who has been a known hunting enthusiast. 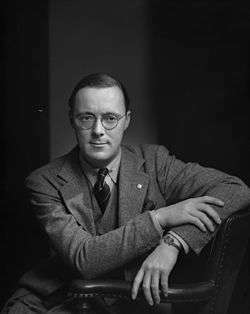 In 1962, when he was 24 years old, he was invited by the German Baron Werner von Alvensleben to a hunt in Mozambique. Since then, the king has taken part in hunting forays in Africa and Eastern Europe. In October 2004, he was a member of a hunt in Romania that killed a wolf and nine brown bears, including one that was pregnant, according to the Romanian newspaper Romania Libera. He was also accused by a Russian official of killing a bear called Mitrofan, supposedly after giving vodka to the animal, in an episode that sparked controversy in Spain, although the claim was never proven. In the same year, according to The Guardian, the Polish government allowed him to kill a European bison in Białowieża Forest, even though it is an endangered species. Further controversy arose in April 2012 when the king's participation in an elephant hunt in Botswana was discovered only after he returned to Spain on an emergency flight after tripping over a step and fracturing his hip. Many Spanish environmental groups and leftist parties criticized the monarch's hobby, and the WWF stripped him of the honorary position in July 2012, in an extraordinary assembly by 94% of the votes of the members. In a 2016 complaint to the Organisation for Economic Co-operation and Development (OECD), The nonprofit group Survival International accused WWF of inadvertently facilitating serious human-rights abuses against indigenous pygmy inhabitants of the rainforest in Cameroon. The complaint alleged that "anti-poaching eco-guards who were part-funded and logistically helped by WWF, victimised the hunter gatherer Baka people, razed to the ground their camps, destroyed or confiscated their property, forced them to relocate and have regularly used physical force and threats of violence against them". It was the first such complaint to be made against a conservation group. The complaint alleges that WWF violated OECD guidelines for the conduct of multinational companies and the UN Declaration of human rights. WWF responded saying that eco-guards were for the most part "protecting the integrity and resources of a [forest] zoning system that includes community forests, hunting and access zones vital to Baka communities." The group disclaimed knowledge of any direct involvement by its staff in rights abuses. Survival International has also accused WWF of violating its own policies regarding indigenous people's rights by forming a partnership with French logging company Rougier, which it says is responsible for large areas of deforestation in southeast Cameroon, illegally and without the consent of local Baka tribespeople. WWF France stated in 2015 that it had entered a "three-year strategic collaboration" with the Rougier Group. In the early 1970s, Prince Bernhard, Prince Philip, Duke of Edinburgh and a few associates set up the The 1001: A Nature Trust to handle the WWF's administration and fund-raising. 1001 members each contributed $10,000 to the trust. In 2000, the World Wide Fund for Nature sued the World Wrestling Federation (now named WWE) for unfair trade practices. Both parties had shared the initials "WWF" since 1979. 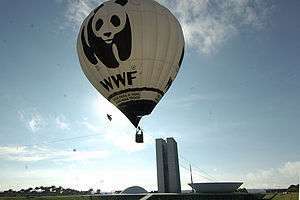 The conservation organization claimed that the sports entertainment company had violated a 1994 agreement regarding international use of the WWF initials. On August 10, 2001, a U.K. court ruled in favour of the World Wide Fund for Nature. The World Wrestling Federation filed an appeal in October 2001. However, on May 10, 2002, the World Wrestling Federation changed its Web address from WWF.com to WWE.com, and replaced every "WWF" reference on the existing site with "WWE", as a prelude to changing the company's name to "World Wrestling Entertainment." Its stock ticker also switched from WWF to WWE. Starting with the 1,000th episode of Raw in July 2012, the WWF "scratch" logo is no longer censored in archival footage. In addition, the WWF initials are no longer censored when spoken or when written in plain text in archival footage. In exchange, WWE is no longer permitted to use the WWF initials or logo in any new, original footage, packaging, or advertising, with any old-school logos for retro-themed programming now using the original WWF logo, but modified without the F.
The British pop group S Club 7 were ambassadors for WWF-UK during their time together as a band (1999-2003). Each of the members sponsored an endangered animal, and in 2000, they traveled to the various locations around the world of their chosen animals for a seven part BBC documentary series entitled S Club 7 Go Wild. WWF International is currently represented in the SuRe® Stakeholder Council. SuRe® – The Standard for Sustainable and Resilient Infrastructure is a global voluntary standard which integrates key criteria of sustainability and resilience into infrastructure development and upgrade.SuRe® is developed by GIB Foundation and Natixis as part of a multi-stakeholder process and will be compliant with ISEAL guidelines. ↑ Eichhorn, Noel (1963). Implications of rising carbon dioxide content of the atmosphere; a statement of trends and implications of carbon dioxide research reviewed at a conference of scientists. The Conservation Foundation. ↑ "Cambodia threatens to suspend WWF after dolphin report". Retrieved 2009-08-16. ↑ "Der Pakt mit dem Panda: Was uns der WWF verschweigt ("Pact with the Panda: What the WWF conceals")". DasErste.de. tagesschau.de ARD. 2011-06-22. Retrieved 2011-07-25. ↑ WWF. "Cazador blanco, sangre azul". Retrieved 2012-04-15. ↑ Press Association (2011-09-08). "Prnce Charles - President of UK WWF". London: Guardian. Retrieved 2012-08-19. 1 2 Vidal, John (3 March 2016). "WWF accused of facilitating human rights abuses of tribal people in Cameroon". The Guardian. ↑ "WWF partners with logging company destroying 'Pygmy' land". Survival International. 25 May 2016. ↑ "WWF France and Rougier to jointly advance responsible forest management and trade" (Press release). WWF. 9 April 2015. ↑ "The Harmonics of being Environmentally Sound". World Wildlife Fund - Philippines. 18 August 2006. Retrieved 2010-06-30.